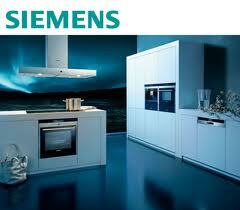 Cody’s Appliance Repair is a Siemens Factory Authorized Service Center for warranty services. As a Siemens appliance repair provider, our technicians participate in annual training to ensure they’re up-to-date with the latest advances in the appliance repair industry. Plus, to speed up the repair process and get your appliance back in action faster, we use cutting edge technology for all our Siemens appliance repair services! Our technicians are background, drug, and alcohol tested for the safety and security of our customers. Cody’s Appliance Repair technicians are fully background and drug screened for the safety and security of your family and home. Our technicians arrive at your home in fully stocked service vehicles, prepared to handle your Siemens appliance repair. Outstanding customer service is our top priority; let us know how we can help you with your Siemens appliance repair. When you need Siemens appliance repair in Boise, Eagle, Meridian, Nampa, Caldwell, Star, Middleton, Emmett, Kuna, Garden City, or Horse Shoe Bend, call us at 938-1066. Or, send us a service request right from our website. We are here to help!